**Enabling alert!!! ** Last week, after launching the Make-along for Knitters AND Crocheters, I shared some great crochet shawl patterns from Joanne Scrace, so today I have a selection of five gorgeous knitting patterns for your consideration. These shawls are all from designers I'm loving at the moment, and what's more, they have generously offered a discount to Make-along participants. Click the images or the links below them to visit the relevant Ravelry page. To apply the code, add the pattern(s) to your basket (don't click 'buy now'). 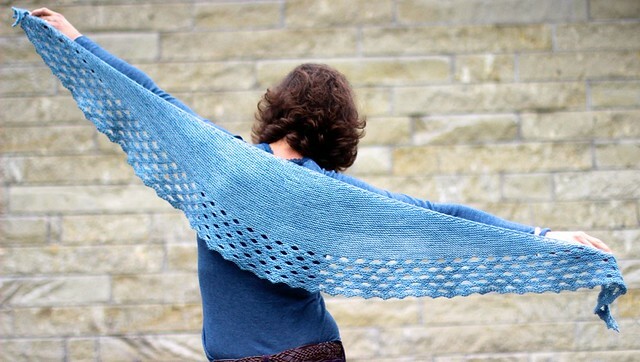 I know that I'm not the only one to have a crush on Aisling, the new shawl from Lete's Knits. 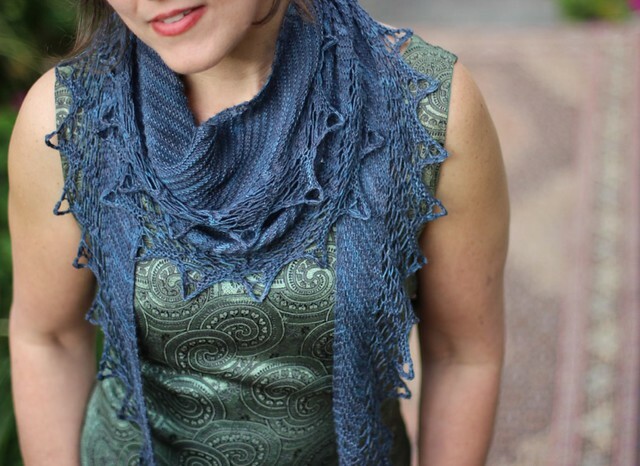 The code CFTCMAKEALONG will get you a 20% discount off this stunning two-skein design. Regular readers will know that Truly Myrtle is one of my favourite blogs and I was so happy when Libby started publishing her designs. 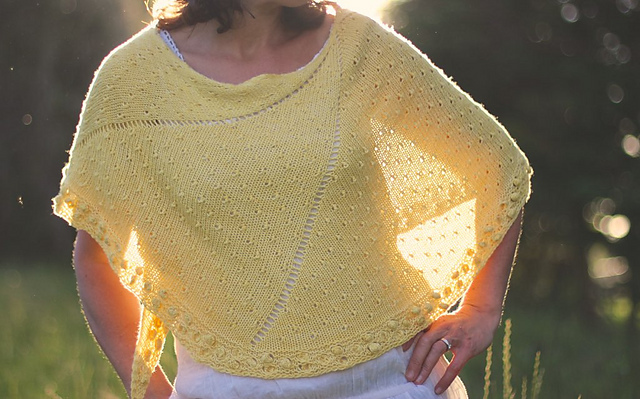 All three of Libby's shawl patterns are being included in the Make-along discount - use the code CFTCMAKEALONG to get 20% off until the end of May! Anthony Casalena is an up-and-coming designer who has been wowing my Instagram feed lately with his long crescents of garter stitch, texture and colour. When I suggested his patterns on our Ravelry group, he popped in to say that he is offering a 15% discount with the code MADMAY15, if anyone would like to use it to purchase individual patterns from his collection. This is my favourite - you will find others on Ravelry. When you've decided on the pattern (or even if you're not quiet sure yet) you'll probably need some new yarn - it would be rude not to, wouldn't it? Charlotte from The Captain and Lovely has hand dyed a special batch of her 100% organic merino for Make-along participants - the colourway is called Sea Breeze and it has been dyed with a subtle variation so it won't overpower the design you've chosen. This super-squishy yarn comes in 100g / 330m skeins, and is available exclusively (with a 20% discount already applied) here. Note that this discount will also apply to standard colourways, or if you'd like your merino to be custom dyed. 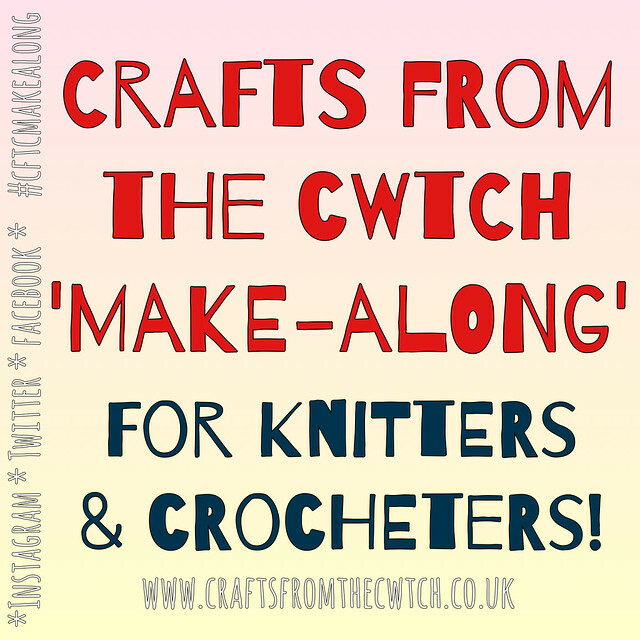 To purchase any other colour, email Charlotte, quoting 'CFTCMAKEALONG' and she will issue a special invoice. There will be more crochet patterns and yarn (and discounts) next Tuesday. In the meantime, check out the CftC Communtity group on Ravelry for more chat, pattern discussions, and early notification of special offers - it's the perfect excuse to stop lurking and join us! Thanks Libby! If I manage to finish the crochet shawl in time, I might even get around to making your Settler shawl - it's been on my mind for a while now! So I've changed my mind at least five times, but I'm inspired! Really looking forward to this one-thanks for the inspiration!